Don’t you love it when you put on colored jeans and you feel so good about yourself (happens rarely right!? ), well these are the pants that really do it for me. 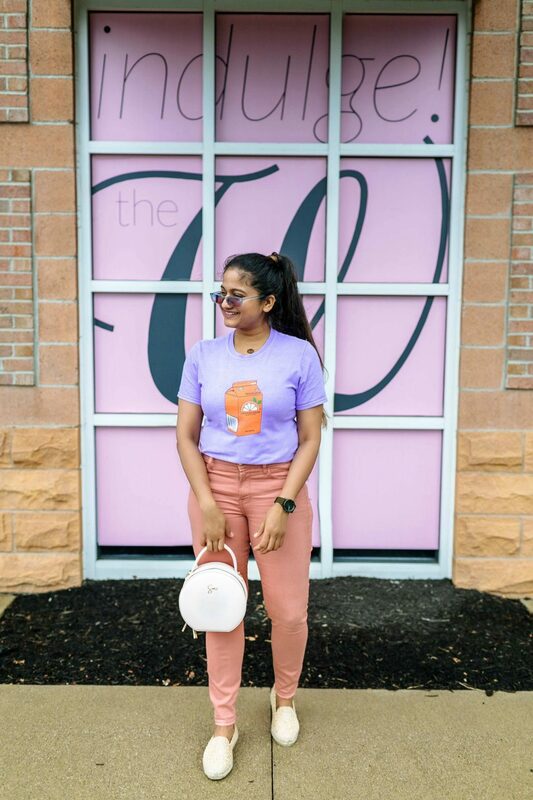 The Jen 7 jeans in pretty pink are everything I look for in colored jeans- sliming, comfy and mid-waisted. They also come in green which would be perfect for fall as well. 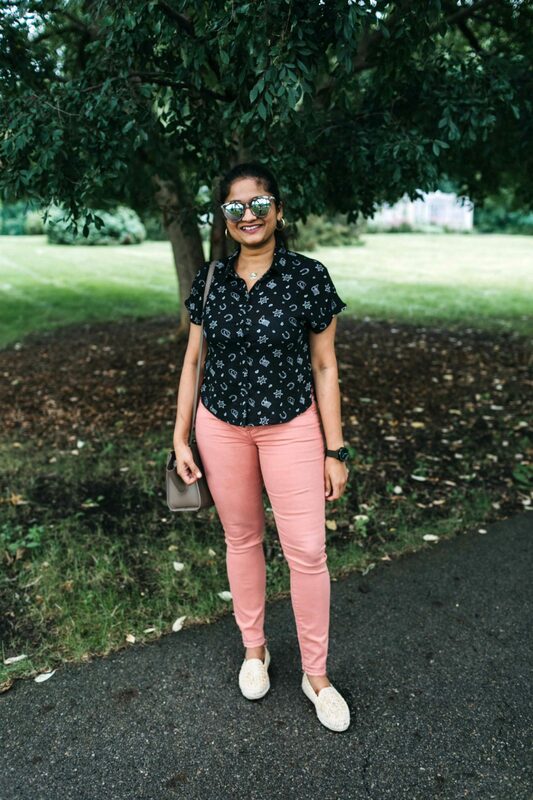 These pink jeans are buttery soft and the fit is pretty amazing. The twill fabric has a great stretch and recovery that allows them to mold to your body, and they don’t bag out throughout the day. I absolutely love the released raw hem detail. For size reference, I have the 25 in these. That’s my typical size in Jen 7 / 7FAM jeans, AG and I am 27 in Levis. 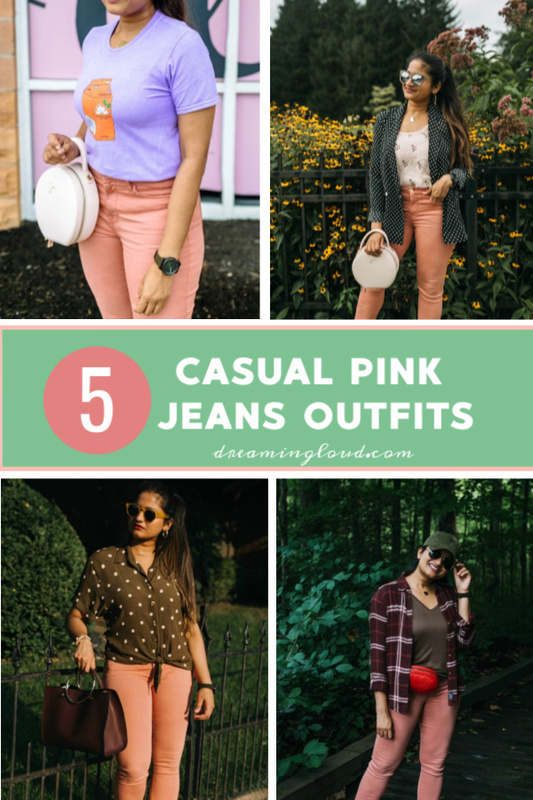 Pink pairs well with almost any neutral color including chambray and denim but today I sharing little more colorful yet casual outfits. 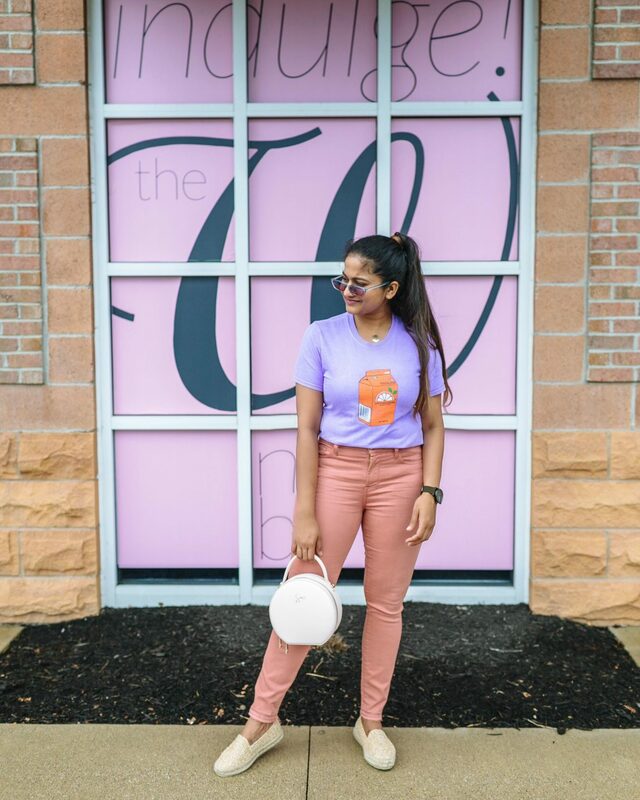 Here are the 5 outfits I created with the Jen 7 jeans pink jeans. These colors set the fall mood instantly. 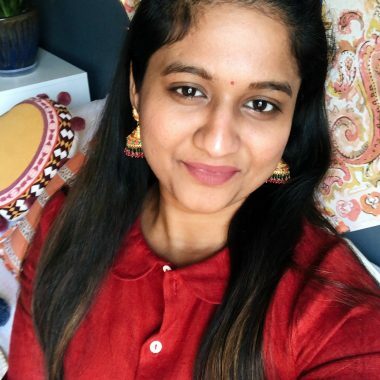 If you are someone who is trying to add more color to your outfits and also don’t want to look too colorful, then I suggest opting for warm colors like these-olive, burgundy, camel, violet, etc. They are also super trendy for fall. The bow pumps make this outfit little dressy and chic. 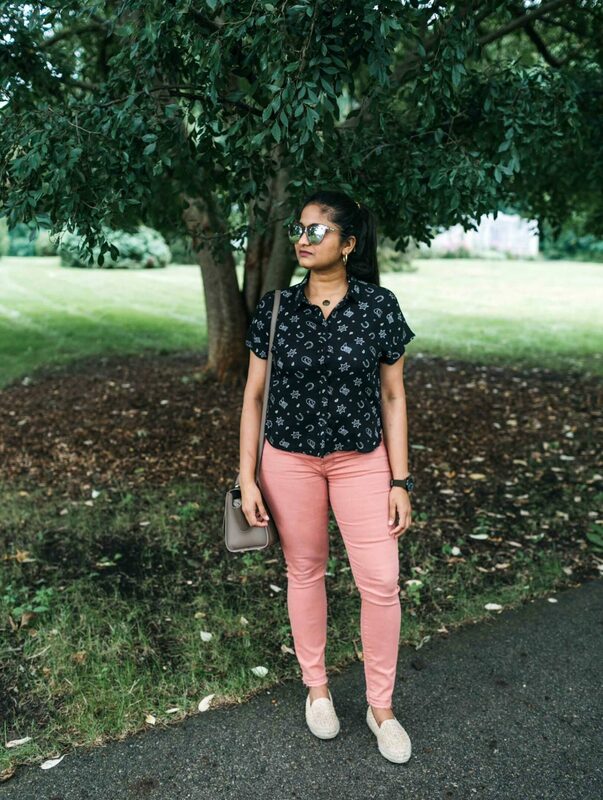 Printed shirts are easy thrown on pieces because they’re visually interesting without having to layer or add accessories to, you can just throw it on and go as is! The straw espadrille breaks the warm tone of the outfit + they are easy transitional shoes for fall. Giving my spin on the trendiest color of the year-lilac. I love how colorful this outfit looks yet very wearable. 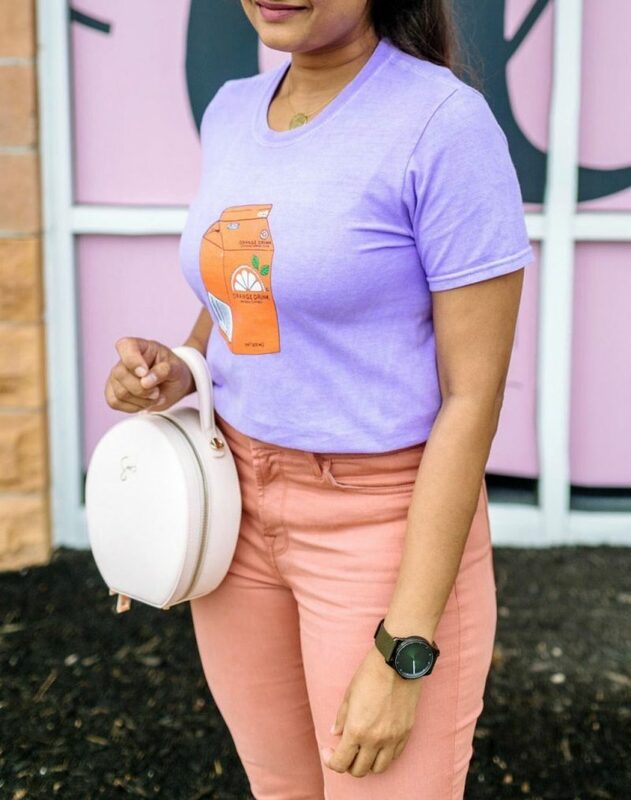 Skinny jeans with a graphic tee is the easiest put together outfit. You can never go with this combo. I kept my accessories and shoes simple to keep the whole outfit casual. 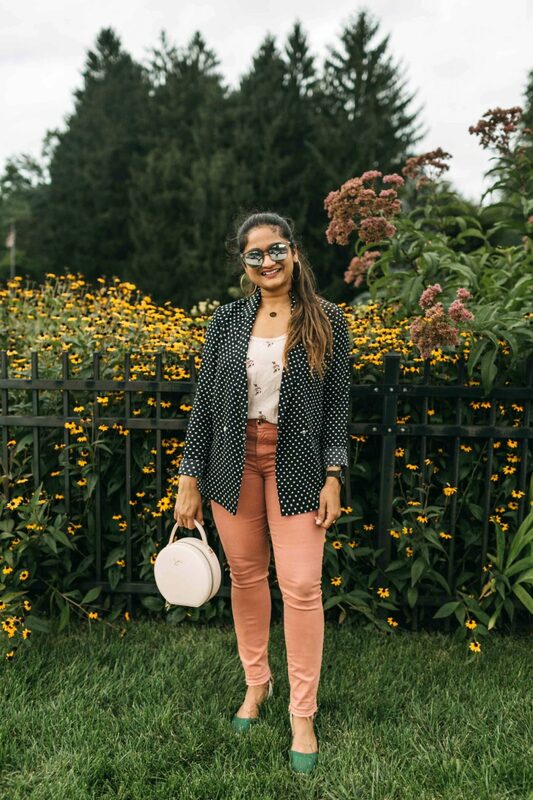 In this outfit, I went for subtle print mixing with polka dots and florals. I kept the top and jeans monochrome and added color with the shoes and blazer. 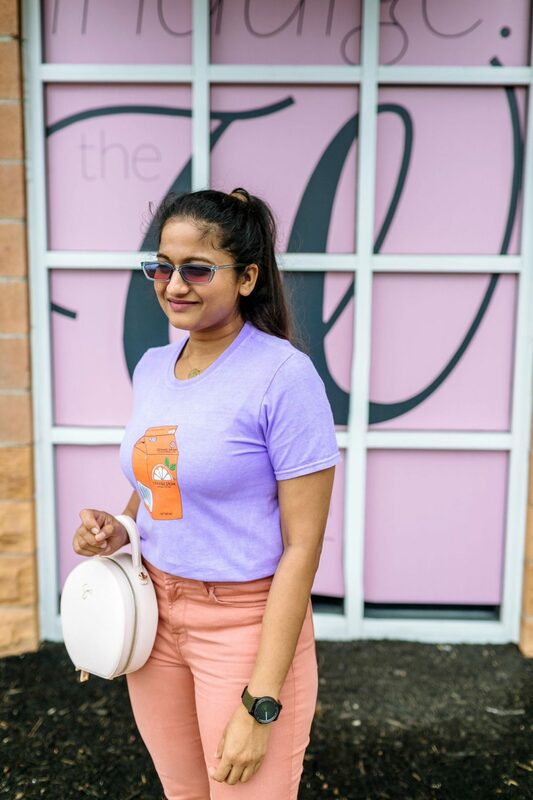 This outfit is perfect for work if you have don’t have a strict dress code. 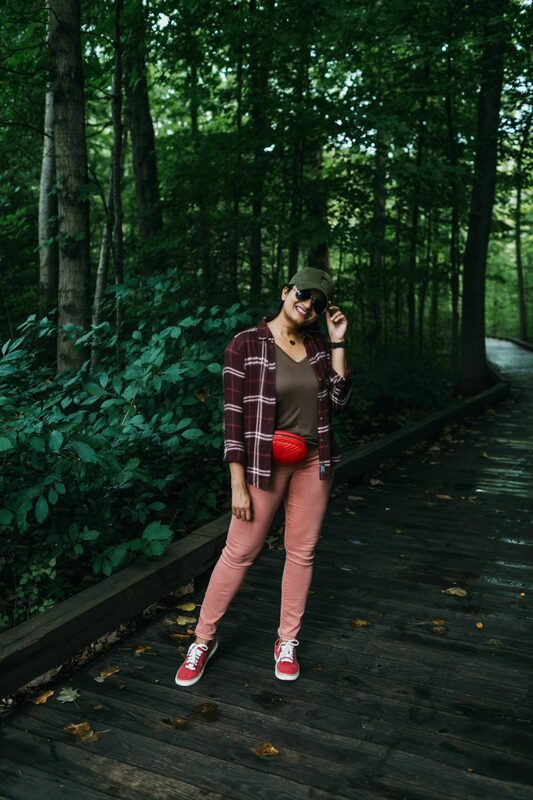 This is a perfect fall hiking /camping outfit. I have put together 4 colors (brown, burgundy, green and red) in this outfit, can you notice that in the first sight? no right, that’s the beauty of warm colors, they blend very well with each other. 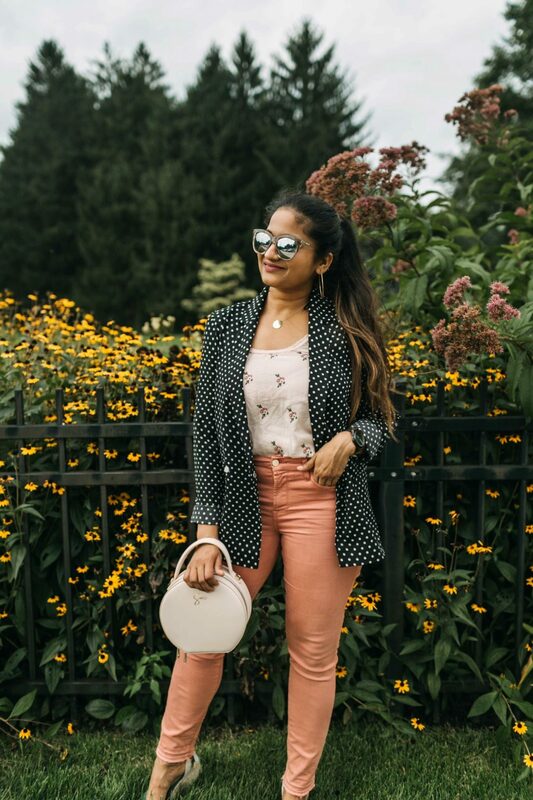 Loving these styling tips for your favorite pink jeans? 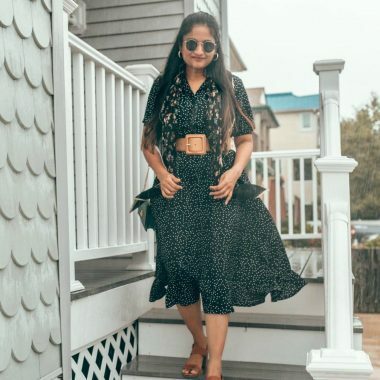 Click here now for more “how to style” posts! 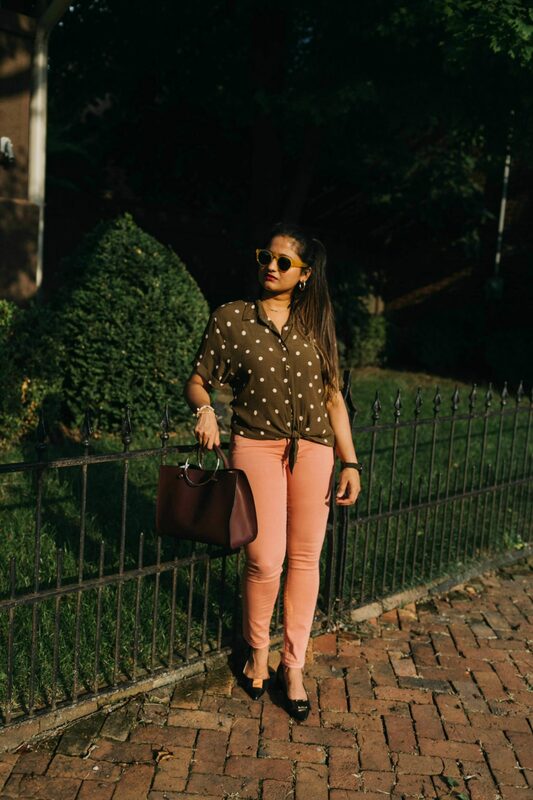 This outfit post is done in collaboration with Jen7 Jeans. All choices, opinions, and thoughts are my very own.